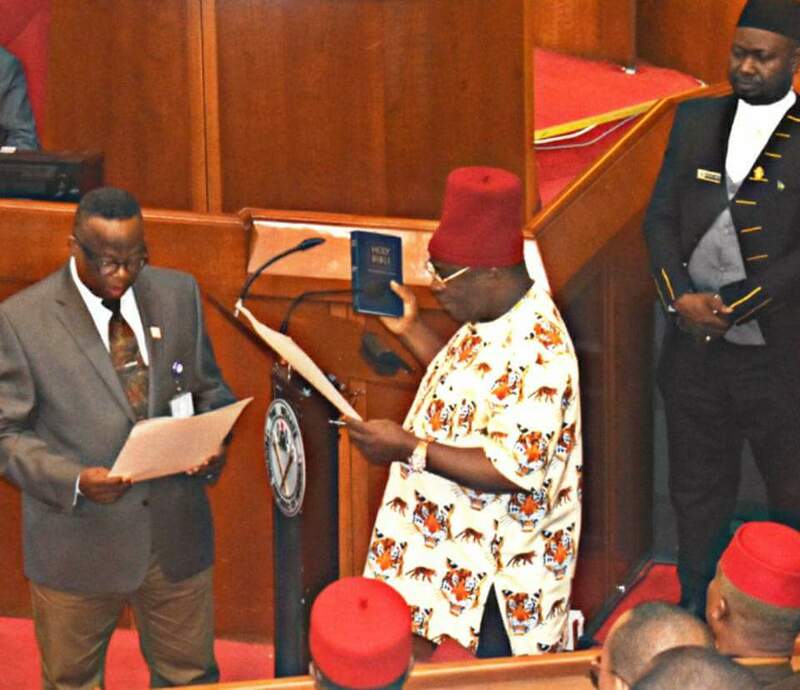 The three years old senatorship tussle in Anambra Central has finally ended with the APGA candidate, Chief Sir Victor Umeh OFR (Ohamadike Ndigbo) sworn in by the President of the Senate, Sen. Bukola Saraki. 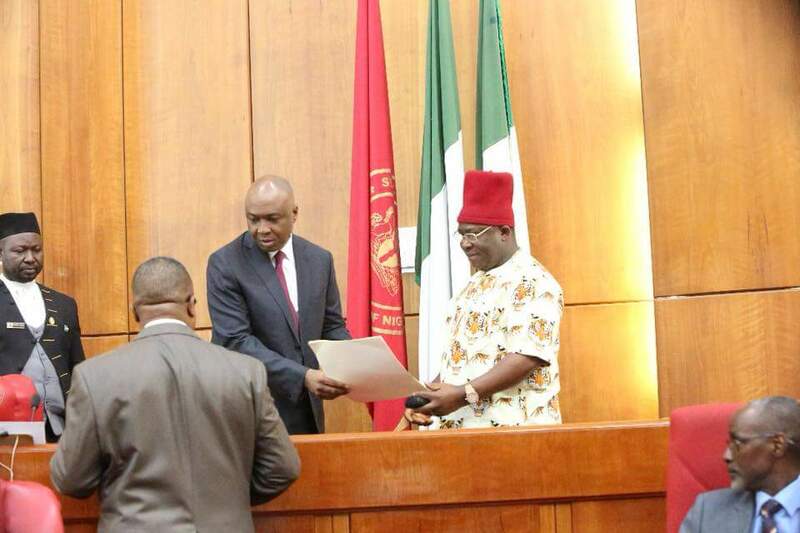 Senator Victor Umeh who doggedly fought through the huddles to dislodge the perils posed by the uncivilized and the unruliness of some persons within the PDP however succeeded in winning the January 13th Rerun Election, received certificate of return from the INEC and subsequently sworn in gloriously to the distinguished chamber of the 8th senate assembly. 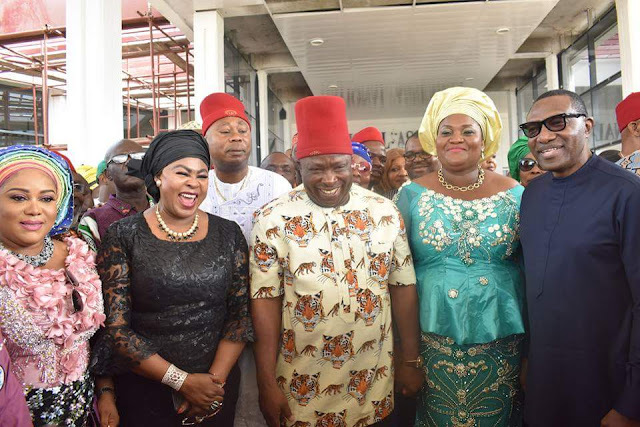 Senator Victor Umeh was received in the accompanied by his wife Lady Prisca Umeh (Osodieme), the Executive Governor of Anambra State and Chairman of his Campaign, Chief Dr Willie Obiano, Deputy Governor Nkem Okeke and his wife Mrs Oby Okeke, Speaker of the state assembly, Rt. Hon Rita Maduagwu, state chairman of APGA Anambra State chapter, Chief Sir Norbert Obi, former national secretary of APGA and APGA governorship candidate in Zamfara state, Alhaji Sani Shinkafi, APGA members of the national and state assemblies, members of the national and state working committee of the party, top government and party functionaries, chairmen of local governments and APGA local government chairmen across the federation. There were also top industrialists like Chief Executive Officer of Capital Oil Ltd and founder, Afa Igbo Efuna Movement, Dr Patrick Ifeanyi Ubah (Ebubechukwuzo), CEO of Ejison Ltd. Chief J.I Ukeji (Ukpaka N'agbalu Oha), traditional and religious leaders as well as numerous other prominent personalities from South East and beyond. 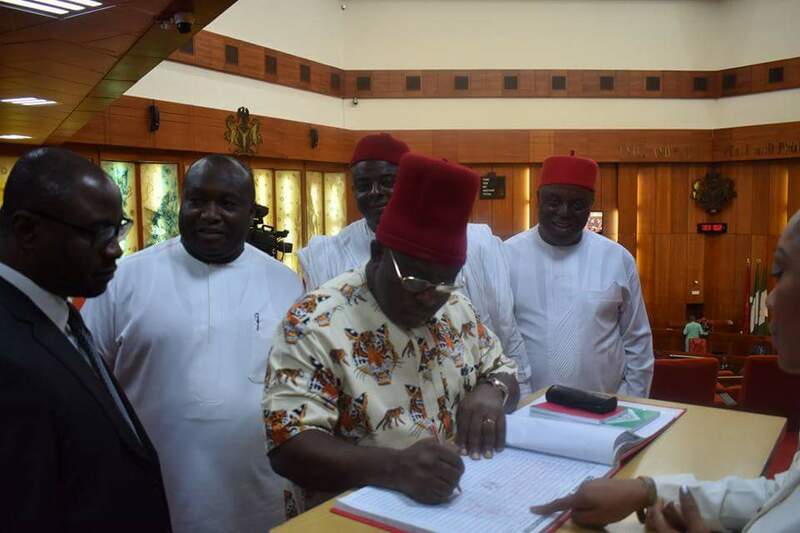 However, the distinguished colleagues used the opportunity to receive into the honorary chamber, the Victorious and Courageous Victor whose mandate was divine and unanimously given by the good people of Anambra Central congratulating him for the victory deserved. They were glad to have him join them; hugging and pledging to partner with him in moving the assembly and the nation forward. Among the senators who were quick to identify with him were Senator Andy Ubah of Anambra South and Senator Stella Odua of Anambra North. After the plenary, Ohamadike signed documents to effect his inauguration and also visited (on invitation), the office of the Special Adviser to the President on National Assembly Matters (Senate), where the SA, Senator Ịta Enang extolled him for his landmark achievements and legendary, and lawful dispositions throughout the period of complexities and contrasting litigations posed by some desperate politicians. 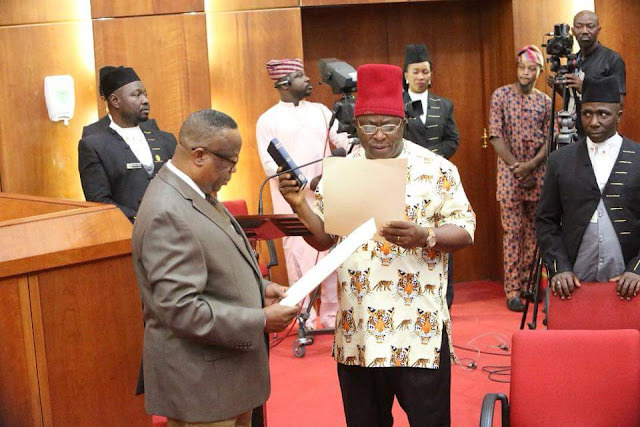 Senator Ịta Enang expressed President Buhari's satisfaction with his (Umeh's) conducts emphasising that his recent victory has deepened the effect of democracy in the nation. He urged him to use the opportunity of being in the senate to make meaningful contributions to the progress of the nation. 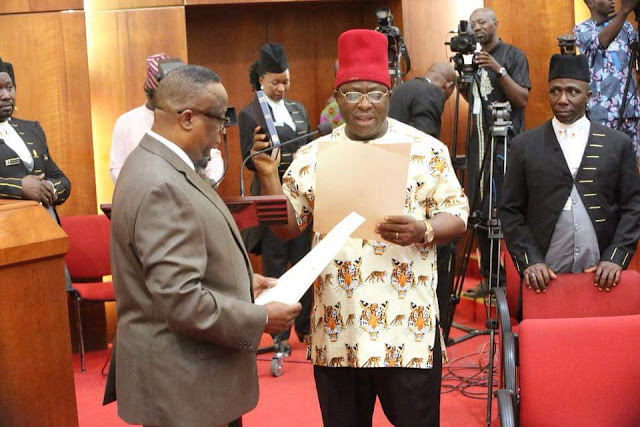 Senator Ịta Enang further expressed his wish that Chief Victor Umeh shall also have the opportunity to be in the 9th senate assembly to avail him enough opportunity to participate effectively in the formation of laws for the development of the nation. 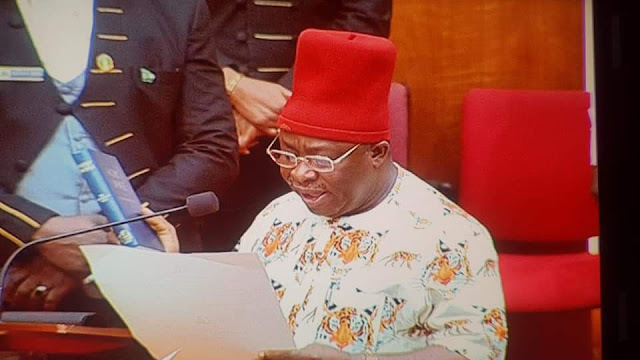 On his part, Senator Victor Umeh acknowledged the president's even handedness in enhancing democracy in the nation thanking him in particular for his role in the peaceful and credible conduct of the November 18th Anambra governorship election and the January 13th Anambra Central senatorial rerun election. 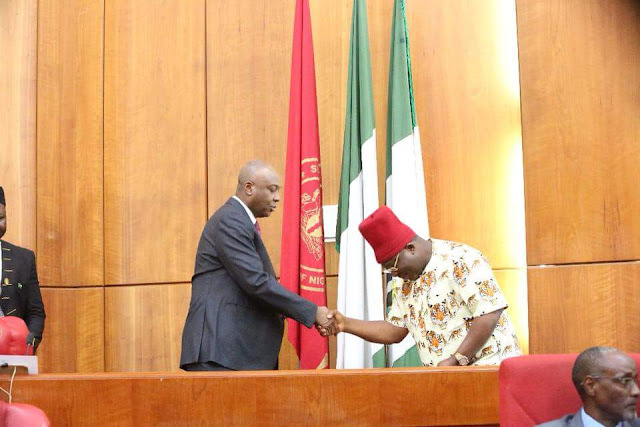 He assured the president of his sincere and unalloyed commitment to the programs of the senate in making laws that will enhance the performance of the government in evenly and indiscriminately developing all parts of the nation. 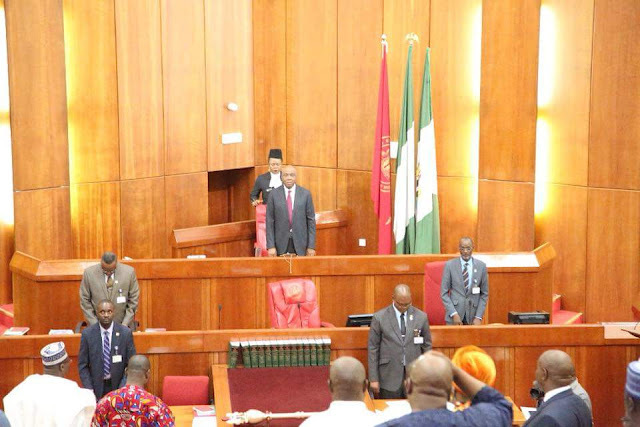 He stated that his programs in the senate will be for the unity and development of the nation geared towards extinguishing every conception of marginalization or discrimination by ethic and/or religious group in the nation.